With their large colonies and relatively small size, this is the most destructive species in Australia and is present over the entire Australian mainland. We commonly find this type of termite in ‘hard to treat’ construction scenarios. Capable of causing extraordinary amounts of damage in a short period of time, and are most commonly found in or near bushland. In some circumstances however they will show up anywhere in suburban areas. Gum Trees, old tree stumps, patio cavities, in behind retaining walls and inside the hollow of large timber logs are common nest harborages for this termite species. It is not uncommon to find this termite in excess of 100 metres from the nest. 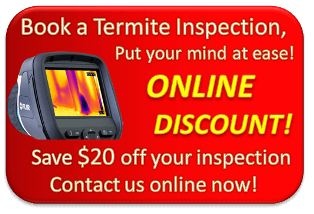 Please see to our Termite Treatments page or talk to a technician Phone 0447 268 257 for more information.